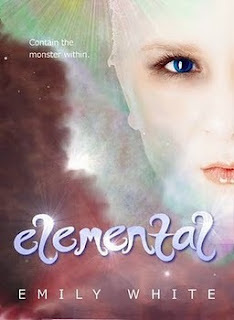 Today is the release day for Emily White's debut novel Elemental and it's a book I can't wait to get my hands on. It sounds like this is a must read for sci-fi fans! While you're here make sure you enter the giveaway organised by Kathy from I Am A Reader, Not A Writer as part of the Elemental Book Blast. Unfortunately it doesn't look like either of us won Emma, oh well lol :o) Fingers crossed for next time!